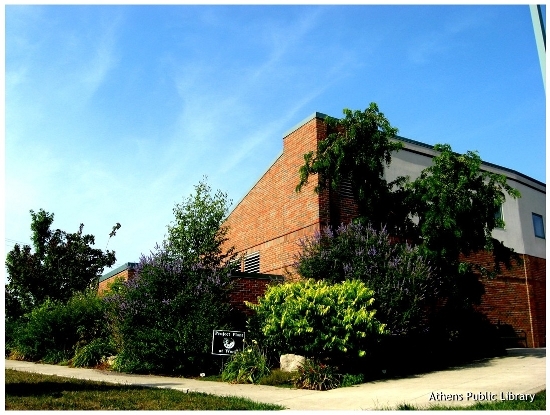 Five Springs Farm Nursery and Landscaping has provided Project Plant with this helpful listing of trees, shrubs, flowers and groundcovers and their respective locations on the grounds of the Athens Public Library. This is your guide to understanding the scientific and common names of the plantings. A downloadable copy of this guide in PDF format can be obtained at this link: Athens Library Plant Guide. Plant material will be described left to right, from the far side of the bed to the side closest to the library entrance.